The perfect place to see traditional Aboriginal ochre and art works. They also offer for sale work by local contemporary artists. Located at Gantheaume Point and built of local sandstone by a former lighthouse keeper to help ease the pain suffered by his arthritic wife. Developed from a private collection of shells from the waters of the local Kimberley coast. The collection, of over 6,000 shells, preserved fish and crustacea, is open to the public for viewing. It also contains a shop that sells souvenirs and Mother of Pearl items. Well worth a visit and located in the Old Customs House. The Gallery was established to be the local jewellry shop serving locals and visitors alike. But not only is there a wide array of pearl related jewellry but also diamonds (another big Kimberly industry) and other gemstone jewellry as well. This business is a family affair and they will do all they can to make your visit something to remember. Built in 1917 by Capt Gregory on the corner of Hamersley and Carnarvon Streets in became his home and, being one of the most successful businessmen in the local pearling industry, it is a great example of what the richest people of the day selected as their suitable to house themselves and their families. These are the largest art and craft markets in the Kimberleys. Held every Saturday morning on the corner of Frederick and Hamersley Streets between 8am - 1pm. Massive array of arts and craft plus food and music - wonderful atmosphere. The old Courthouse is built in distinctive 'Broome style' with which you will become very familiar with if you hang around Broome for a while. The Court House was the original Cable House (that managed the telephone cable) after which Cable Beach is named. Normally on Sundays between 8am and 1pm in Johnny Chi Lane (seasonal). Large selection of local art and crafts. The 'Festival of the Pearl' is held in Aug/Sept each year and celbrates the pearl harvest, the local Broome pearling industry and the town's multi-cultural heritage. The Beach is named after the telephone cable that was first laid to connect Australia with Indonesia. The beach lays 6 kms from the centre of Broome township. Cable Beach is one of the top 5 beaches in the world and stretches for 22 kms with beautiful white sand and deep blue Indian Ocean waters. It is a safe bean on which to swim and there is a wide selection of beach activities you can enjoy. 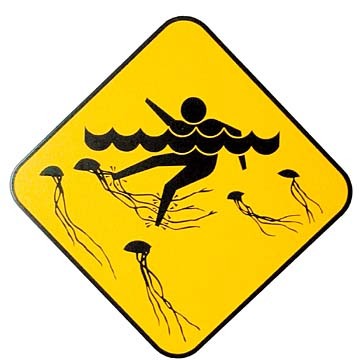 Caution: November to April there can be box jellyfish and stingers in the water. You can find footprints left behind by dinosaurs millions of years ago. Only visible during very low tide (1.5metres or lower). If the tides are too high you can always check out the casts that have been made that sit at the top of the cliffs. If you do get the chance to walk out and check the footprints please ensure you take care of the reef environment as it is very fragile and also wear think soled shoes as stonefish are known to live on the reef. The remains of these flying boats can be found about 1 km offshore from Town Beach and are only visible at very low tides (be aware of the need for thick soled shoes. See warning immediately above). The flying boats were ferrying Dutch civilians from Indonesia during the early invasion of Indonesia by the Japanese when they were pounced upon as they landed in the waters near Broome. A number of people were killed and boats sunk. What you can see are the remnants of these flying boats that were sunk by the Japanese attack. If you need to relax or feel the need to refresh yourself after a long and dusty trip then the Chinatown Natural Healing Centre is just what you need. Massage, aromatherapy, reflexology, naturopathy or homeopathy - there are all available here. There is also a wide array of related items on sale such as books, tapes, incense, cards, oils and essences. Located on Port Drive you will find this one-of-a-kind cemetry. It is here that the early Chinese settlers (many pearl divers who died doing their job) can be found. A camera is a must for this visit. If you arrive by boat you will probably anchor here as it is the anchor point for all visiting vessels. Here you will find the Broome jetty (great for fishing off) and a small sheltered beach for swimming (safe for children) and picnics. There are also restaurant and kiosk facilities. Want to find out all you can about pearl farming as it is practised today? Wille Creek Pearl Farm is where you need to go. At the farm (38kms north of Broome) you will understand how Broome develops the world's best cultured pearls. You will see the intricate art of seeding the shells so that they produce those wonderful round translucent gems of the sea. Discover the different types of pearl shells and get aboard the 'Willie Wanderer' to get to see the pearl shell beds in the creek. The tours can offer you an insight into the traditions, history and contemporary lifestlyes of the Broome Aborigines. One of the most beautiful natural sights in Broome and seen across Roebuck Bay during a full moon, is the Staircase to the Moon. The illusion of a staircase reaching up to the moon is caused by the moons reflection on the wet mud flats - a tedious explanation for a wonderful sight. Located in the heart of Chinatown the gallery is Broome's best gallery for local Aboriginal fine art. These art works are for sale and the gallery is also an outlet for drawing and painting supplies if you need them to capture, in your own way, your visions of this land. www.broomeaccommodation.info invites genuine travellers' comments about accommodation in Broome. Savage negativity and overt advertising will not be approved by the moderator of the Broome Blogg. Please post your photos of accommodation in Broome no larger than 666 pixels wide. We want info about for example good Broome holiday accommodation, Cable beach scenes, and accommodation from which Kimberley fishing trips are launched. If any Broome accommodation properties managers would like an ad on this page, or VR hotel video production to display here, contact us. We'll be happy to accommodate you in exchange for your wet season accommodation in Broome. For holiday accommodation Broome linked ads to your Broome accommodation property, email your Broome accommodation web site and Broome tour pictures. Accommodation Singapore where direct Broome flight go. Google Map of the World Showing Broome and other best holiday destination in the world.